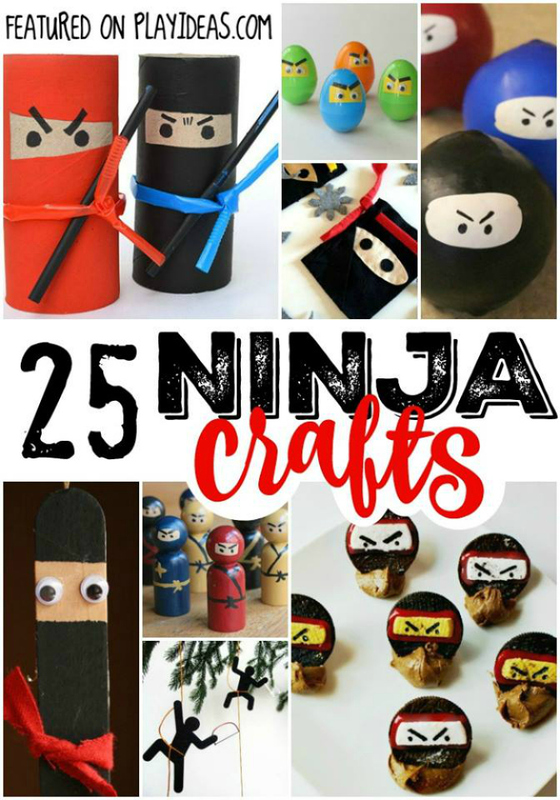 Let your little samurai’s imagination run wild with these 25 stealthy crafts! Kids love to imagine themselves as different things. 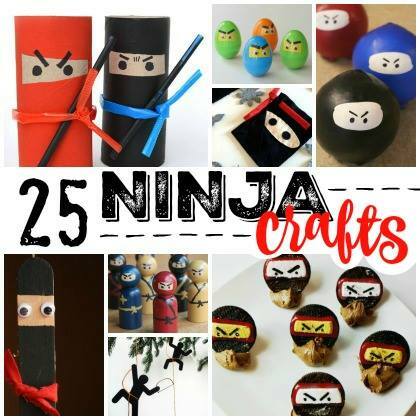 These 25 Stealthy Ninja Crafts for Kids will encourage your child to search out their inner samurai and find the wisdom of their ways. Or maybe they just really love martial arts. Either way, these crafts are going to be fun for you both. From ornaments, to toys to costumes, there’s a little bit for everyone to love. Enjoy! 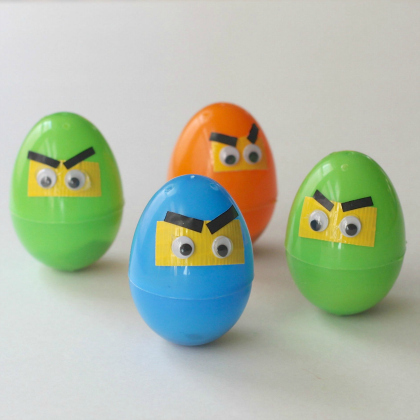 These wobbily ninja eggs can take a beating, but they won’t fall down! 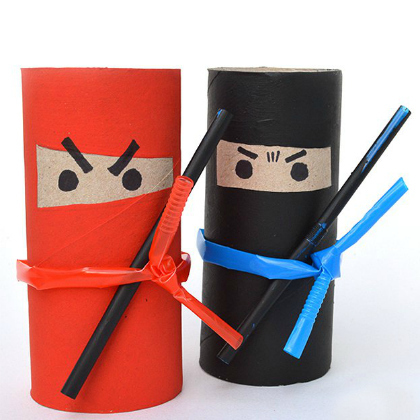 Ninja toilet paper rolls are sturdy and ready to fight the good fight. 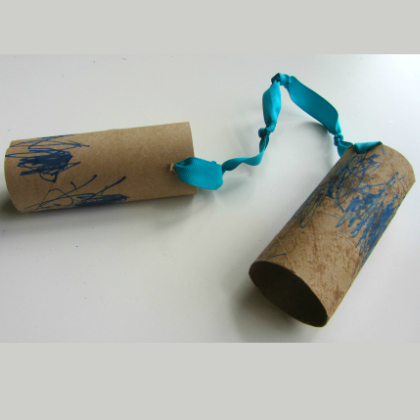 TP roll nunchucks are great for practicing the wise ways of the samurai. 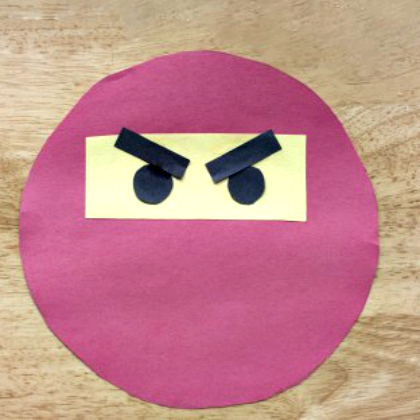 Wise sansei say studying shapes is a great way to learn a ninja’s face. 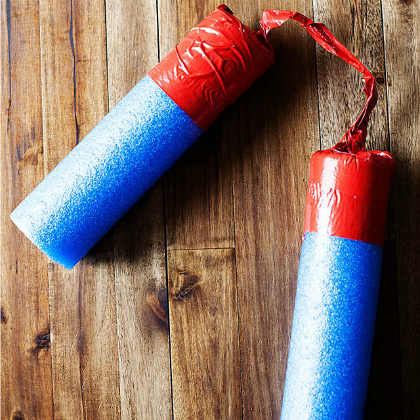 Pool noodle nunchucks also make for great practice, and they work great in the water! 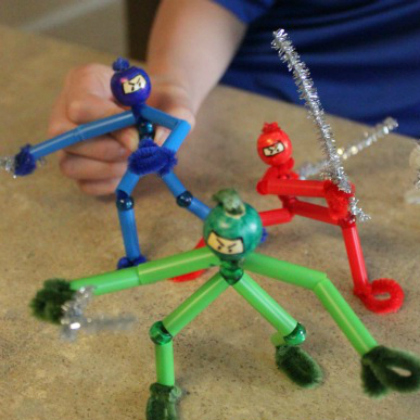 These pipe cleaner ninjas are flexible, but that doesn’t mean they bend on the code of the samurai. 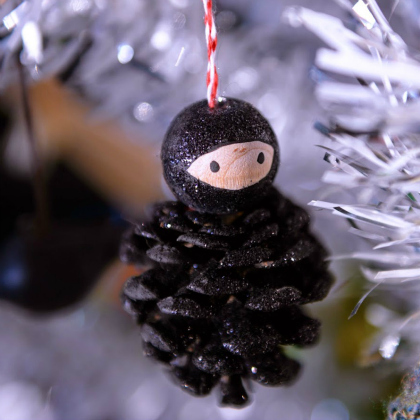 Ninja ornaments will look stealthy on your tree this Christmas. No one will even know they’re there. 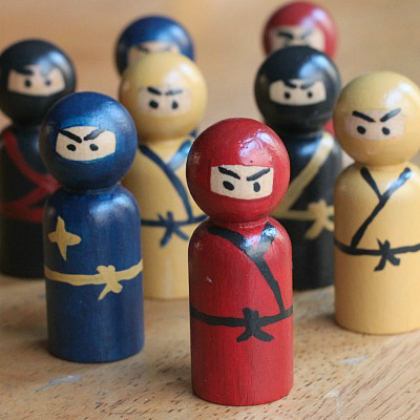 You can build an entire samurai army with these peg ninjas. 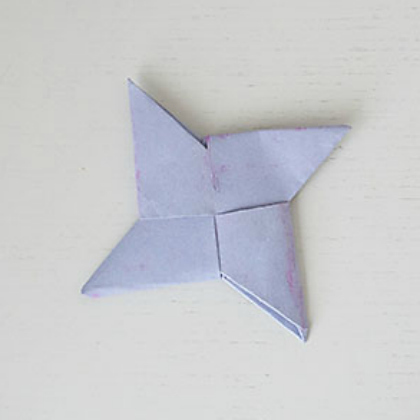 Practice the art of the flying star by making these paper flying stars. 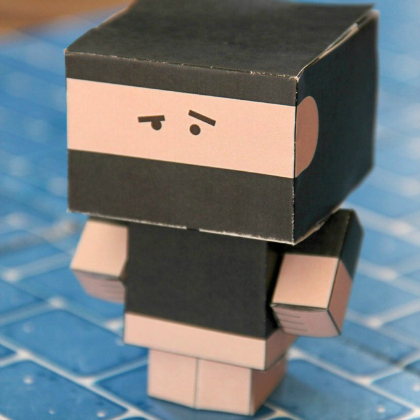 This foldable block ninja isn’t flexible, but he is strong and sturdy. 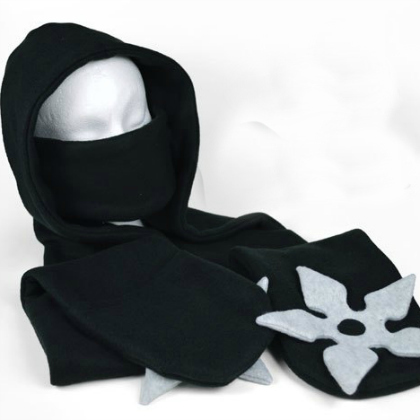 This ninja scoodie will keep your small samurai warm this winter. 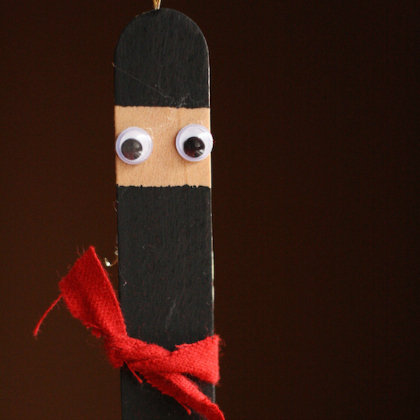 Make these ninja sticks using popsicles and observe their stealthy ways. 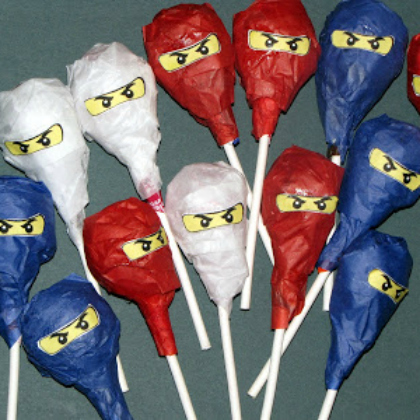 These ninja suckers are wonderful treats for the practicing warriors in your home. 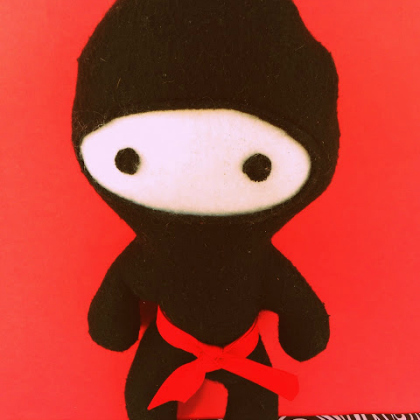 This plush ninja has easy to follow step by step instructions. 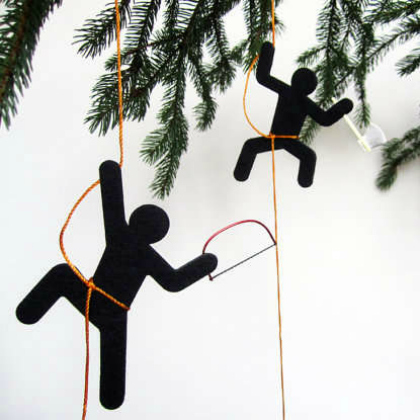 And he’ll hang out with your tiny ninja each night when they fall asleep. 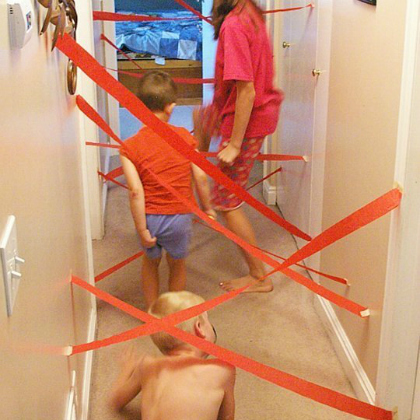 Your young warrior can practice their spy moves through this ninja maze. 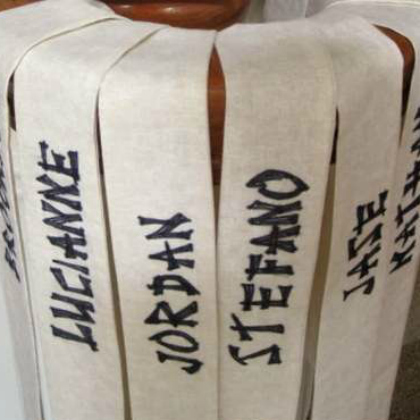 Ninjas should have their own headbands, and if you write their names on them, there will never be a question of which band belongs to which ninja. Don’t let your little ninjas get stressed. 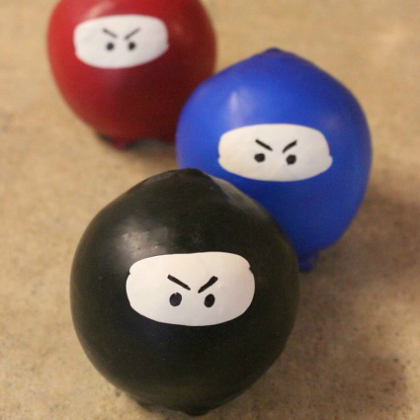 These ninja stress balls will remind your ninjas to find their inner zen. 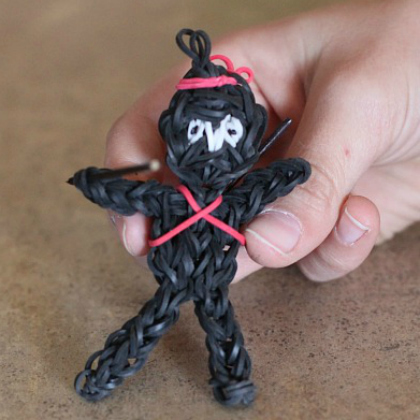 This loom band ninja is samurai approved…and perfect for carrying around that front door key. 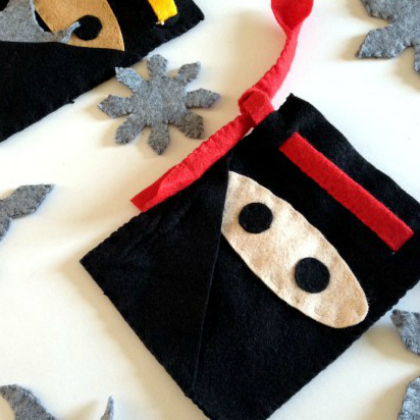 Your ninja will need a place to store their felt throwing stars, and these felt star pouches are perfect for that. 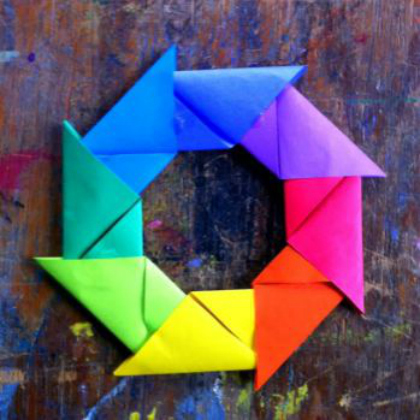 Ninja stars come in all shapes, colors and sizes. 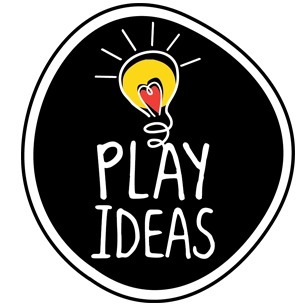 Your stealthy child is going to love learning to make this one. Ninjas should always dress the part. 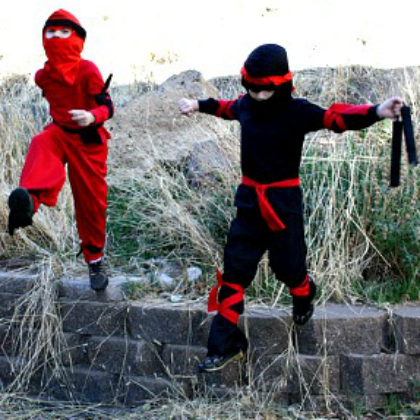 This ninja costume is easy to make and will let them go full-ninja whenever they want. 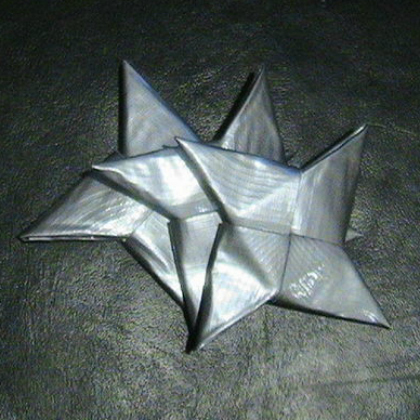 Duct tape throwing stars are a little harder than paper throwing stars, but they make great decorations. 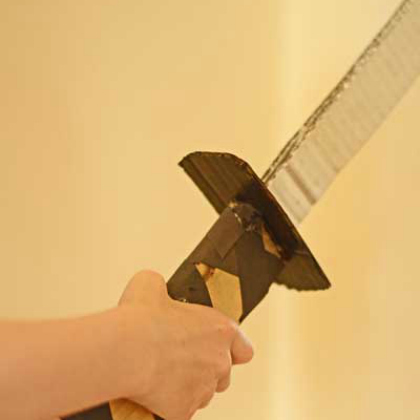 Your young samurai is going to love practicing with this cardboard katana. 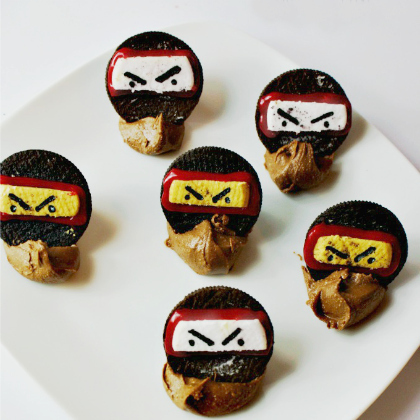 After a long day of samurai’s, katana’s, and throwing stars, all ninja’s need a snack: these Oreo ninja cookies are exactly what your little warrior is going to crave.